So why should those of us (like myself) who are not directly involved in a rural church be interested? Surely this is not for us? In preparing for the conference (I’m doing a workshop session on the Wednesday afternoon) I’ve been challenged in my thinking in a couple of important ways. Firstly, if being the body of Christ means anything, then surely it means being actively engaged with other parts of the church that have concerns that are less directly relevant to our own. 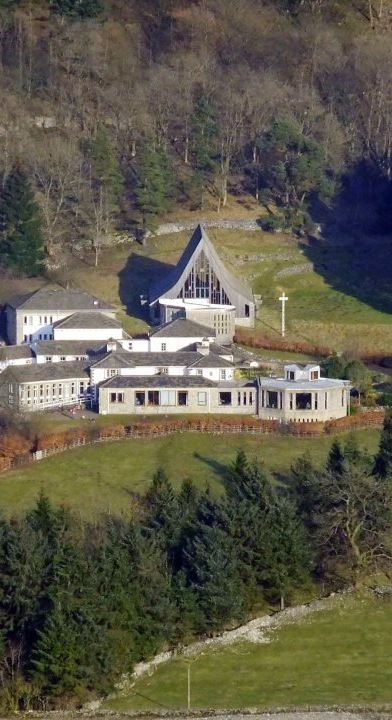 Many churches are used to looking abroad and getting involved in whatever way with churches in other parts of the world – so why not in our own back yard? But secondly, and perhaps more importantly, there is what the rural church can teach the urban and suburban church. I suspect that is rather more than ‘townies’ such as myself care to admit. One important area – and I suspect that this in one way or another is where the growth in rural areas is coming from – is in the very real ways in which the rural church is able to root their local communities. The Wednesday is the buildings day, and includes input from Peter Aires (Head of Regeneration and Major Projects at the Churches Conservation Trust), Lesley Morley (Chaplain to Yorkshire Agricultural Society and former Rural Officer for the Diocese of Ripon and Leeds), Alice Ullathorne(Church Building Support Officer Diocese of Ripon and Leeds), and myself. The other days also look excellent, with some great speakers, including Simon Mattholie of Rural Ministries and Sian Lockwood OBE (Chief Executive of Community Catalysts). The conference runs for 3 days from Tuesday 6th to Thursday 8th March – more information and booking details here. You can book for single days, or for the whole lot, with or without accommodation; I understand there is still some availability for each of the days. I can’t wait – I think it could be a game changer. 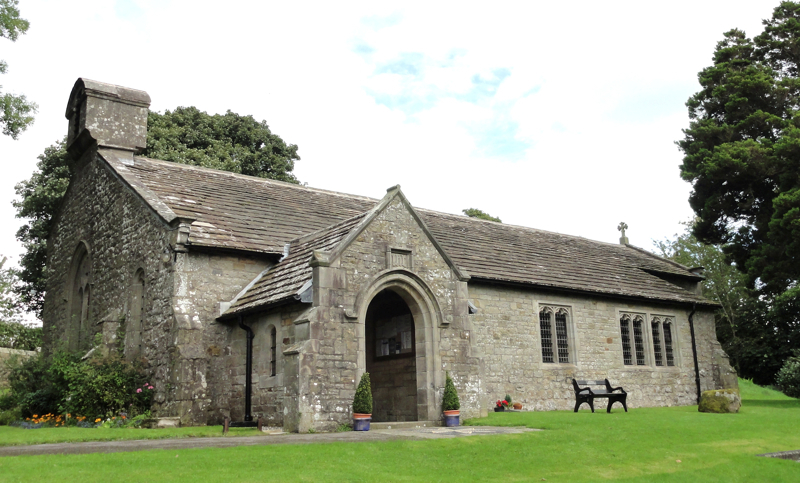 Last Saturday we were in the Lancashire for a family wedding, at St John the Baptist, Arkholme, near Kirby Lonsdale. I was asked to do the reading, which was John 2:1-11, Jesus turning water into wine at another wedding, at Cana. Jesus saying in effect, ‘I’m not ready for this (this ministry thing)’, but still demonstrating God’s outrageous generosity. And the importance of celebration, of having a good party. The minister, covering an interregnum, did a great job of modelling God’s generous welcome; it was not the first marriage for either bride or groom, and most of those present were not used to church. A good, quiet witness. And yes, having trooped down to the nearby River Lune we all, bride included, got soaked to the skin. The church itself, grade 2* listed, dates from about 1450, was reworked in 1788 (see stone) including the addition of the sweet little bell cote, and again in 1897 by Austin and Paley. The feel of the church is lovely, of uncluttered simplicity, light enough, warm enough, a place of gathering and welcome. 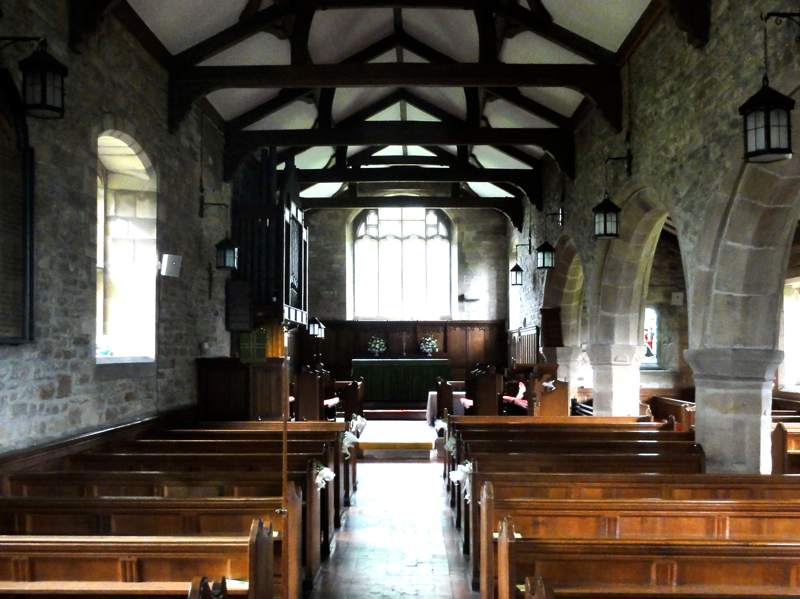 Stone walls, wooden pews and roof trusses. white ceiling – very simple. 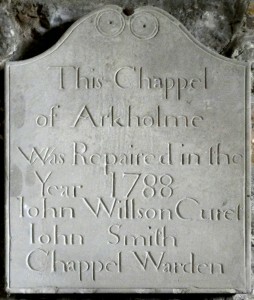 All the glass is plain, except for two small windows at the end of the side aisle, one commemorating Arthur James Woodh0use, Vicar of Arkholme, the other commemorating his sister, Annie Margarita. 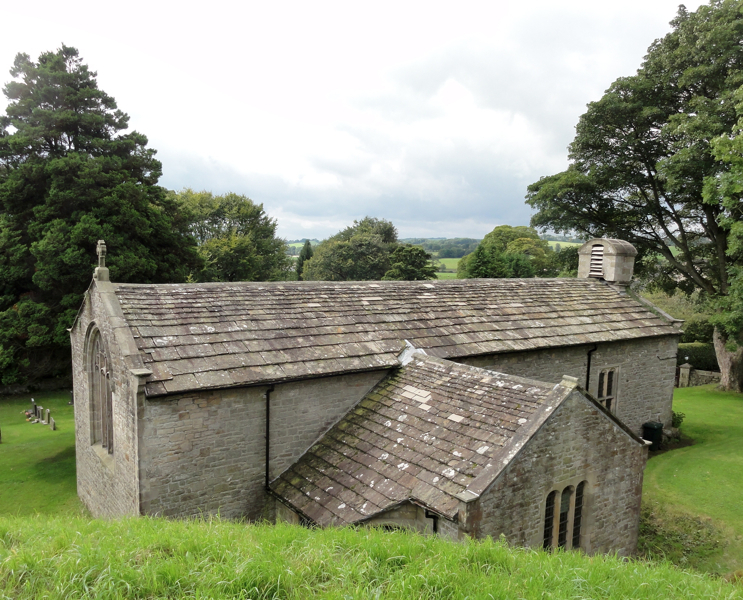 Immediately to the north of the church is a mound, shown on the OS map as a motte (as in ‘& bailey castle’), which gives you a fine view of the roof of the church and the landscape beyond. Note the stone roof, with larger stones at the eaves diminishing to smaller stones at the ridge. The simple use of local materials helps the building belong to its place.